The just released new Evolution EV-150 Hydraulic Autopilot System has been specifically designed and engineered to be extremely cost effective for both medium to large trailer boats and smaller hydraulically-steered launches. The latest addition to Raymarine’s award-winning Evolution autopilot range, the new EV-150 is both exceptionally user friendly and extremely accurate. It is very simple to install and set-up and calibration is completely automatic. With Evolution TrackIQ™ algorithms for tighter track-keeping and faster track acquisition, the new EV-150 also includes Raymarine’s patented Hydro-Balance™ technology for ultra-precise hydraulic steering. 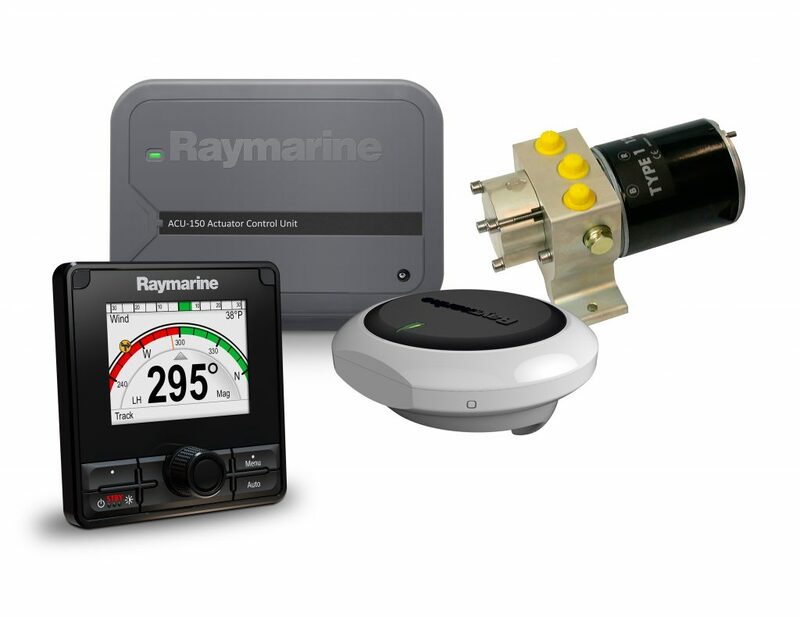 In addition, Raymarine’s award winning 9-axis EV-1 Sensor Core ensures precise and confident course keeping. The EV-150 system is suitable for boats with a steering ram capacity between 80cc (4.9 cu. in.) and 230cc (14.0 cu. in.) and a 12-volt DC electrical system. The ACU-150 Actuator Control Unit is also available separately for those who want to construct an “a-la-carte” system, or wish to carry a spare. Both it and the new Evolution™ EV-150 Hydraulic Autopilot System are now available from Lusty and Blundell’s nationwide network of leading marine dealers.